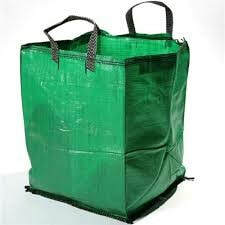 These bags are specialised for the collection of green waste. 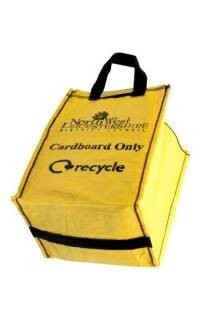 Durable and easy to store these bags score high as opposed to wheeled bins. 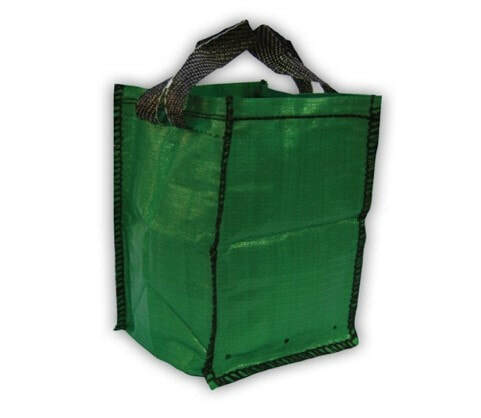 They allow the green waste to breathe, owing to the perforated weaves typically found in such bags. Garden Waste bags are available in various sizes ranging from 50 litres up to 200 litres, the standard being between 90 and 120 litre bags. 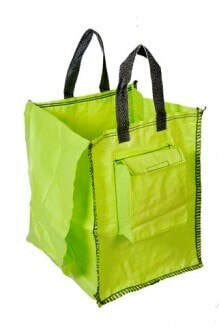 These bags are made from thick green Ultraviolet treated fabrics and com with the option of printing your text details or any other information that you require. Our bags can also incorporate document pockets & different configurations of lifting and tipping handles. Standard Fabric Colors: Green, White, Blue, Red, Brown, Yellow OR can be customized as per customers’ requirements. Standard Sizes: 35 x 35 x 50 cms, 45 x 45 x 45 cms, 45 x 45 x 60 cms, 50 x 50 x 50 cms and can be further customized as per Customers requirements. 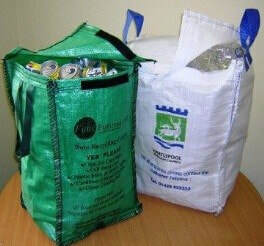 Applications: Collection of Garden Waste, Used Bottle and Cans, Cardboard and Newspapers, Confidential Shredded Waste etc.